"My father is a ex-monk from Tibet. My mother is Princess Dewa from Xinjiang who is a direct line from Genghis Khan. I was born in Taiwan, grew up in the States and returned to Gaden in India in 1987. Had the great honour to be ordained by HH Dalai Lama and to meet my root guru HH Kyabje Zong Rinpoche. Now I reside in Malaysia as spiritual advisor to Kechara House and its thirteen departments." This website, an ongoing work in progress, is dedicated to the glorification and deeper appreciation of Lama Tsongkhapa and his teachings. It is also dedicated to the lineage Lamas, without whom Tsongkhapa’s holy teachings would have disappeared, and without whose blessings, obtained by a pure bond of faith and reverence, the transmission would be broken and another path to Enlightenment lost. We share Tsongkhapa’s teachings because this sacred lineage resonates with us and we hope that his teachings will appeal to those who would feel the same also. If this space serves as a central source of information for spiritual seekers on Lama Tsongkhapa’s teachings, it would achieve its goal. This website is also dedicated to provide information and inspiration for those with an affinity to H.E. 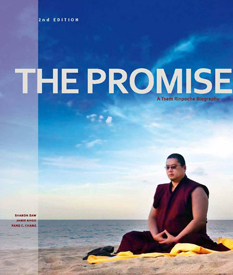 Tsem Tulku Rinpoche, who is tirelessly spreading the Dharma and helping all sentient beings. 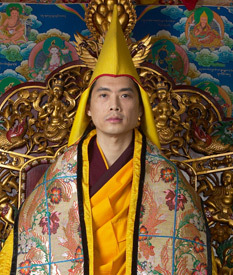 Beloved for his unconventional, contemporary approach to Dharma, H.E. Tsem Rinpoche brings more than 2,500 years of Buddhist wisdom and teachings to the modern spiritual seeker by connecting ancient worlds with new people, cultures, attitudes and lifestyles. A Mongolian-Tibetan heritage, a childhood in Taiwan and in the United States of America, intensive monastic studies in India and now the Spiritual Guide of the Kechara organisation in Malaysia – these are but some of the many facets that that contribute to Tsem Rinpoche’s unique ability to effortlessly bridge the East and the West. His teachings bring the Dharma to our everyday lives and in doing so, he is able to bring the ancient time-honoured Buddhist philosophies and practices into the 21st Century. Tsem Rinpoche has been strongly inclined towards Dharma since his early childhood, and has studied under many under many great Buddhist masters of the Tibetan tradition. Tsem Rinpoche eventually went on to receive his monastic education at Gaden Shartse Monastery, currently located in Mundgod in South India. Following the advice of his beloved Guru, H.H. Kyabje Zong Rinpoche, Tsem Rinpoche took his vows as a monk from H.H. the Dalai Lama and joined Gaden Shartse Monastery when he was in his early twenties. His two preceding incarnations, Gedun Nyedrak and Kentrul Thubten Lamsang Rinpoche, had also studied at the original Gaden Shartse Monastery when it was then located in Tibet. There, they obtained Geshe Lharam degrees before completing their studies at Gyuto tantric college. Gedun Nyedrak went on to become the lead chanter and, later, abbot of Gaden Monastery, while Kentrul Rinpoche brought the Dharma to the laypeople of the Phari district of Tibet. The tremendous and virtuous work of his previous lifetimes can perhaps be reflected again in Tsem Rinpoche’s present-day activites in Malaysia, where he continues this selfless practice of teaching vast numbers of non-monastic communities in places where the Dharma has just begun to bloom. 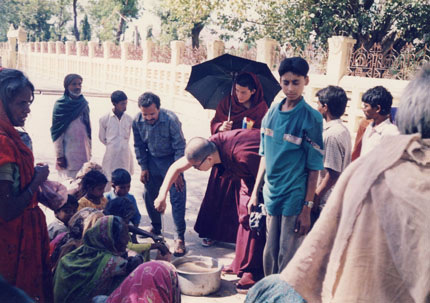 During his nine years in Gaden, Tsem Rinpoche was involved in extensive charitable works including building schools for refugee children in India, building dormitories and upgrading living conditions for the monastic community, and providing long-term assistance to the poor lay community of Mundgod. Now, based in Malaysia, Tsem Rinpoche continues this immense work to benefit many. Through creative and engaging approaches, Tsem Rinpoche continuously shares new methods of bringing happiness and relief to people from all walks of life, regardless of their religious faith. Tsem Rinpoche also maintains close contact with Gaden Monastery; through his constant practice of generosity and with a deeply altruistic motivation, he continues to frequently sponsor Gaden’s work and activities. H.E. 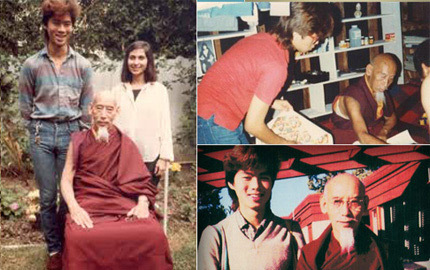 Tsem Rinpoche with H.E. 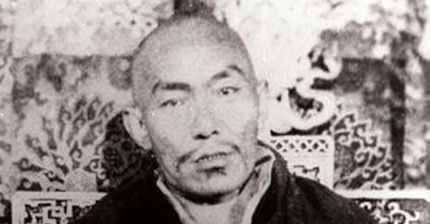 Zong Rinpoche. H.E. 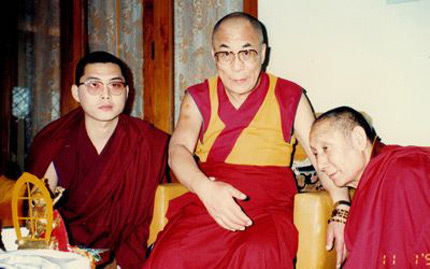 Tsem Rinpoche and H.H. Dalai Lama. H.E. Tsem Rinpoche feeding the poor and homeless. 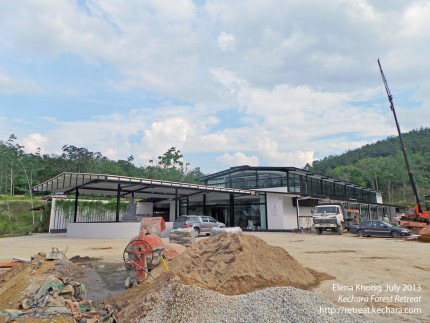 The Kechara Forest Retreat was conceptualised by H.E. 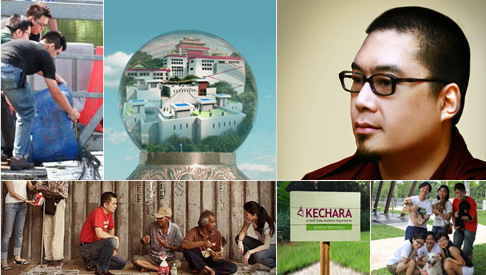 Tsem Tulku Rinpoche as the heart of the Kechara organisation. It will be a place away from the hustle and bustle of the city; where anyone can take a break from our hectic lives and rest, relax and recharge at this beautiful holistic centre. The Kechara Forest Retreat was conceptualised by H.E. 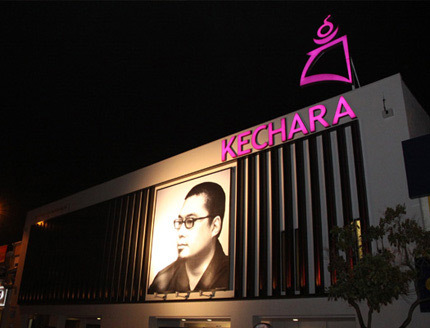 Tsem Rinpoche as the heart of the Kechara organisation. It will be a place away from the hustle and bustle of the city; where anyone can take a break from our hectic lives and rest, relax and recharge at this beautiful holistic centre. In the very near future, this will be the place for anyone who wishes to seek spiritual solace and for those who wish to have some time out of their daily city life. The creation of this forest retreat is an instrumental step for getting closer to our ultimate goal, Kechara World Peace Centre (KWPC). 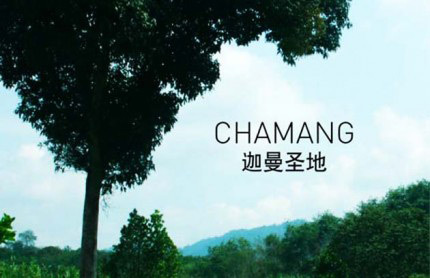 This retreat land is conceptualised in a way to embrace nature, hence the name Kechara Forest Retreat. The moment you step into KFR, you will be greeted by beautiful fauna and flora. Nestled in the middle of the land will be a Prayer Hall where everyone can go to make their wishes and prayers, or simply meditate in tranquil surroundings. At the Kechara Forest Retreat, we will have a spiritual experience that will leave our mind and body rejuvenated; allowing us to take on whatever comes next in our hectic lives. It is a place where families and individuals will find peace, nourishment and inspiration within a natural forest environment. Here, we will give back to society through educational programmes for the young and the old, by instilling universal values such as patience, acceptance, kindness and compassion. It is a unique opportunity to experience a sustainable spiritual lifestyle within a conscious community. Kechara is the sacred heaven of the Buddha Vajrayogini – and where we all aspire to go to. And while we are on our way there, we can stop by at the Kechara Forest Retreat to have a glimpse of heaven on earth. Today in a world where the only certainty is uncertainty, do you live in anxiety of this uncertainty? Do you plan day to day only to have your plans turn against you? Do you live in sadness? Do you live in the past? Are you afraid of the future? What if today we offer you a place, a sanctuary where you can arrive and be embraced in the beauty of pristine nature, where you can connect with yourself and be in a warm, caring community where you can see that the solutions to the uncertainty lie within yourself. The certainty in your ability to sustain, maintain, endure and overcome life’s uncertainties. Why worry when you can come to the Kechara Forest Retreat – to be a part of a community which doesn’t want to be afraid anymore and is willing to dream beyond. Empower yourself. Come and be a part of this possibility; to live the dream and create a legacy. And this is the chance of a lifetime to make this dream become reality. For you and your loved ones – for many generations to come. Grab this unique opportunity to be a part of building this vision of heaven on earth. Beauty of nature. Clean air. Fresh food. Peace. Away from the noise of traffic and the hectic pace of the city, the Kechara Forest Retreat is a sanctuary of outer and inner peace. Here is the perfect environment for gentle meditation and forest walks. Surrounded by tropical trees, with the serene sounds of trickling brooks and chirping birds, we can feel as one with nature, whether in deep contemplation or having a healthy stroll. For the spirituality inclined, there are opportunities to learn and practise uplifting meditations for the mind, body and spirit. There will be a public temple with a glorious statue of the historical Buddha Shakyamuni, where people can make offerings or say a prayer. Nearby will be a butterlamp house, for those who wish to make light offerings for their loved ones. Just beyond there, on a hillside, will be holy stupas where visitors can circumambulate, meditate and dedicate their merits. Those who are serious about their spiritual practice will enjoy the conducive conditions for retreats. The preliminary practices of water offerings, light offerings, prostrations and other purification practices can all be done here in a simple and comfortable environment. It is also a place for children to do short spiritual retreats to cultivate care, focus and discipline. In a world where we spend more time at work than at home, and we often don’t have time for our loved ones, the Kechara Forest Retreat is perfect for families to get together, spend quality time together and bond together. Here is a space where our precious time can be infused with positive activities, laughter and love.